and is now available to the general public. For many years, long after the Serenity Prayer became attached to the very fabric of the Fellowship's life and thought, its exact origin, its actual author, have played a tantalizing game of hide and seek with researchers, both in and out of A.A. The facts of how it came to be used by A.A. a half century ago are much easier to pinpoint. Everyone in A.A.'s burgeoning office on Manhattan's Vesey Street was struck by the power and wisdom contained in the prayer's thoughts. "Never had we seen so much A.A. in so few words," Bill writes. Someone suggested that the prayer be printed on a small, wallet-sized card, to be included in every piece of outgoing mail. Ruth Hock, the Fellowship's first (and nonalcoholic) secretary, contacted Henry S., a Washington D.C. member, and a professional printer, asking him what it would cost to order a bulk printing. Henry's enthusiastic response was to print 500 copies of the prayer, with the remark: "Incidentally, I am only a heel when I'm drunk .. . so naturally, there could be no charge for anything of this nature." "With amazing speed," writes Bill, "the Serenity Prayer came into general use and took its place alongside our two other favorites, the Lord's Prayer and the Prayer of St. Francis. Thus did the "accidental" noticing of an unattributed prayer, printed alongside a simple obituary of an unknown individual, open the way toward the prayer's daily use by thousands upon thousands of A.A.s worldwide. But despite years of research by numerous individuals, the exact origin of the prayer is shrouded in overlays of history, even mystery. Moreover, every time a researcher appears to uncover the definitive source, another one crops up to refute the former's claim, at the same time that it raises new, intriguing facts. What is undisputed is the claim of authorship by the theologian Dr. Rheinhold Niebuhr, who recounted to interviewers on several occasions that he had written the prayer as a "tag line" to a sermon he had delivered on Practical Christianity. Yet even Dr. Niebuhr added at least a touch of doubt to his claim, when he told one interviewer, "Of course, it may have been spooking around for years, even centuries, but I don't think so. I honestly do believe that I wrote it myself." Early in World War II, with Dr. Niebuhr's permission, the prayer was printed on cards and distributed to the troops by the U.S.O. 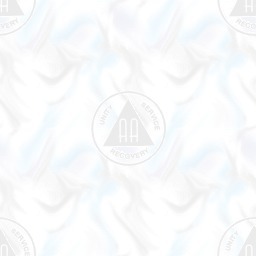 By then it had also been reprinted by the National Council of Churches, as well as Alcoholics Anonymous. Dr. Niebuhr was quite accurate in suggesting that the prayer may have been "spooking around" for centuries. "No one can tell for sure who first wrote the Serenity Prayer," writes Bill in A.A. Comes of Age. "Some say it came from the early Greeks; others think it was from the pen of an anonymous English poet; still others claim it was written by an American Naval officer... ." Other attributions have gone as far afield as ancient Sanskrit texts, Aristotle, St. Augustine, St. Thomas Aquinas and Spinoza. One A.A. member came across the Roman philosopher Cicero's Six Mistakes of Man, one of which reads: "The tendency to worry about things that cannot be changed or corrected." No one has actually found the prayer's text among the writings of these alleged, original sources. What are probably truly ancient, as with the above quote from Cicero, are the prayer's themes of acceptance, courage to change what can be changed and the free letting go of what is out of one's ability to change. and the wisdom to distinguish the one thing from the other." These words were attributed, the correspondent wrote, to an 18th century pietist, Friedrich Oetinger (1702-1782). Moreover, the plaque was affixed to a wall in a hall where modern day troops and company com-manders of the new German army were trained "in the principles of management and . . . behavior of the soldier citizen in a democratic state." Here, at last, thought A.A. researchers, was concrete evidence-quote, author, date-of the Serenity Prayer's original source. That conviction went unchallenged for fifteen years. Then in 1979 came material, shared with G.S.O. 's Beth K., by Peter T., of Berlin. Peter's research threw the authenticity of 18th century authorship out the window. But it also added more tantalizing facts about the plaque's origin. "The first form of the prayer," Beth wrote back, originated with Boethius, the Roman philosopher (480-524 A.D.), and author of the book, Consolations of Philosophy. The prayer's thoughts were used from then on by "religious-like people who had to suffer first by the English, later the Prussian puritans . . . then the Pietists from southwest Germany . . . then A.A.s . . . and through them, the West Germans after the Second World War." Moreover, Beth continued, after the war, a north German University professor, Dr. Theodor Wilhelm, who had started a revival of spiritual life in West Germany, had acquired the "little prayer" from Canadian soldiers. He had written a book in which he had included the prayer, without attribution, but which resulted in the prayer's appearance in many different places, such as army officer's halls, schools and other institutions. The professor's nom de plume? Friedrich Oetinger, the 18th century pietist! Wilhelm had apparently selected the pseudonym Oetinger out of admiration of his south German forebears. through Jesus Christ, our Lord." While all of these searchings are intriguing, challenging, even mysterious, they pale in significance when compared to the fact that, for fifty years, the prayer has become so deeply imbedded into the heart and soul of A.A. thinking, living, as well as its philosophy, that one could almost believe that the prayer originated in the A.A. experience itself. Bill made this very point years ago, in thanking an A.A. friend for the plaque upon which the prayer was inscribed: "In creating A.A., the Serenity Prayer has been a most valuable building block-indeed a corner-stone." And speaking of cornerstones, and mysteries and "coincidences"-the building where G.S.O. is now located borders on a stretch of New York City's 120th St., between Riverside Drive and Broadway (where the Union Theological Seminary is situated). It's called Reinhold Niebuhr Place. and Anna B., Sweden, Jorge L., Portugal, and Ismail A., from Turkey for their contributions!